Does the prospect of foreign investor claims against countries in investor­–state dispute settlement (ISDS) lead to regulatory chill? This question is difficult to answer because information about ISDS and government decision-making is typically not public. Considering the reputational risk for governments, such information is presumably unlikely to become public where it involves changes aimed at appeasing foreign investors. We studied the question—primarily in the context of Ontario, Canada—by interviewing 51 policy insiders, mostly current or former officials in ministries with an environmental or trade mandate. We focused on whether ISDS contributed to changes in the internal vetting of government decisions on environmental protection. We note that this context may differ from other jurisdictions and, even for Ontario, the findings are not meant to be comprehensive. Here is a summary of our main findings, reported in detail elsewhere. 1. Government ministries have changed their decision-making to account for concerns resulting from trade and investment agreements, including ISDS. It was clear that concerns related to trade and investment agreements, including ISDS, are considered in decision-making processes of environment-related ministries. 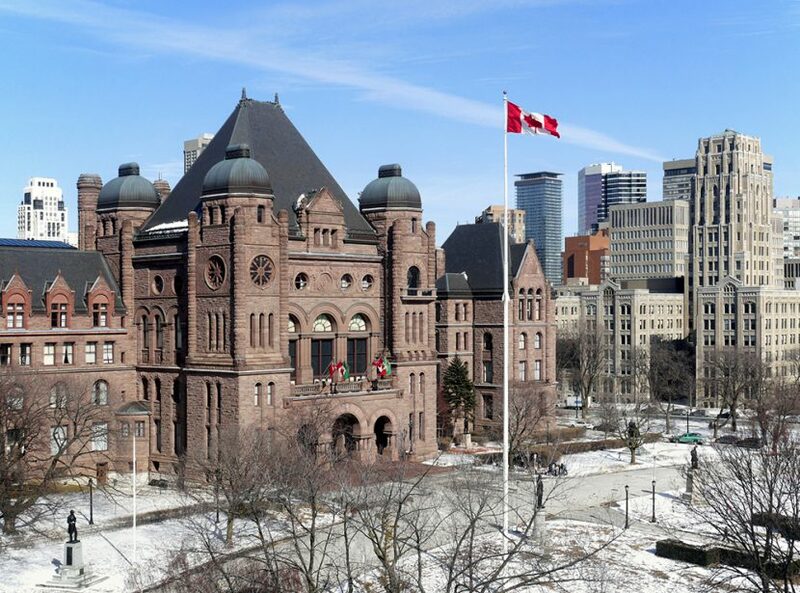 For example, a government lawyer in an environment-related ministry in Ontario reported that trade issues began to cross the lawyer’s desk after the early 2000s. Asked what issues tended to come up, the lawyer pointed to the World Trade Organization (WTO) and the ISDS provisions in Chapter 11 of the North American Free Trade Agreement (NAFTA), remarking that “Chapter 11 is the one that really bites.” The lawyer reported reviewing one or two, sometimes three or four, proposals for legislation, a regulation, or a policy each year for trade compliance. Similarly, in another large Canadian province, a trade ministry official said that proposed measures in that province were reviewed for trade compliance on hundreds of occasions yearly and that the trade ministry had a team of a dozen people. The measures reviewed could include legislative, regulatory, or policy changes or existing policies and confirmed that ISDS was certainly on their radar. 2. ISDS puts pressure on government decision-making due to the financial and political risks and the opportunity costs that ISDS creates. For the political, it’s more about the success of landing the thing they’re working on and that they put their political capital on. For the non-political, it’s about wasted resources, putting time and energy into something that either can’t proceed or is perceived negatively, or it can only be half done. These findings suggest that governments may respond to early ISDS cases against them in ways that become publicly known, but may then adapt their decision-making to avoid ISDS risks by vetting proposals internally. By implication, public information about the ISDS impacts on governments would become less available after the initial shock. 3. ISDS is not an all-powerful factor in government decision-making. ISDS pressures may be overcome, especially if there is a strong political commitment to a proposed measure, backed by a legal capacity to scrutinize purported ISDS risks critically and throughout the policy-making process. Despite its clear impacts, ISDS did not emerge as an overwhelming factor in government. Other considerations could crowd out or override ISDS concerns. Foremost among them, it seemed, was a political commitment to “do the right thing,” especially if that sentiment was accompanied by broad public support for a proposal. My view is that if you ask the average minister if there’s a legal chill associated with trade law, they’d probably say no because they’ve probably never seen a decision get to their desk…. But if you’d asked… an honest lawyer working for government that regularly assesses legal risk of that sort, if they were being honest, they would say that there is. Some interviewees commented that governments may discount ISDS financial risks because the amounts involved are manageable. Some interviewees described a CAD15 million settlement in one NAFTA case against Canada as “pocket change” or a “rounding error.” Yet this view was contradicted by others. A former official in an environment-related ministry told us that, “to a ministry like [the environment-related ministry], CAD$15 million is a lot of money”, regardless of whether it comes out of the ministry’s budget or the general revenue, because the ministry “can’t be responsible for imposing that [cost] on the system as a whole”. 4. The assessment of trade or ISDS risks involves value choices. The changes to decision-making processes that we have documented elevate the role of “trade values” and foreign investor protection over competing values. … the federal government has an army of trade lawyers whose job it is to pounce on any breath, any thought of departure from the trade disciplines. They’re there to crush, as much because they’re true believers in trade liberalization as to whatever they think is really a risk…. This was a sledge hammer that the trade people were more than happy to use vis-à-vis initiatives of other departments. Putting aside this characterization of some trade lawyers, the provincial trade officials we interviewed appeared to have a more balanced and pragmatic approach, albeit still rooted in a version of trade values. These officials cited principles of non-discrimination and the avoidance of economic benefits for local firms and expressed concern about laws being designed for economic purposes and disguised as environmental. However, other officials expressed a contrasting view that environmental measures tend to be portrayed in economic terms as destroying jobs or discriminating in favour of one or another economic interest. Either way, environmental aims are frustrated by those asserting trade values. One government lawyer who was well informed about trade law and ISDS commented that there is no such thing as a “pure” environmental measure that is free from economic impacts, and several political decision-makers stated that environmental initiatives would not proceed if some economic benefit is not shown. Our research into environmental decision-making in Ontario, Canada, reveals that ISDS puts pressure on governments to vet regulatory proposals for their impact on foreign investors, especially in risk-averse bureaucracies. The deterrent effect of ISDS appears to be exacerbated by the opportunity cost of defending a measure against foreign investor claims. Even minor ISDS cases can consume large amounts of time and other resources. ISDS risk assessments, which are often presented as legal or technical advice, can lead to environmental initiatives being characterized as either unduly harmful or unduly beneficial to the economy and, in turn, as undesirable. The fact that ISDS permits foreign investors alone to bring claims elevates their interests, relative to those of other constituencies, in government decision-making. In these respects, we think it safe to conclude that ISDS leads to regulatory chill. Gus Van Harten is a professor at Osgoode Hall Law School of York University who specializes in international investment law and investor-state arbitration. Dayna Nadine Scott is an associate professor at Osgoode Hall Law School and the Faculty of Environmental Studies of York University who specializes in environmental law and risk regulation. Van Harten, G., & Scott, D. N. (2016). Investment treaties and the internal vetting of regulatory proposals: A case study from Canada. Journal of International Dispute Settlement, 7(1), 92–116. Retrieved from https://doi.org/10.1093/jnlids/idv031; Van Harten, G., & Scott, D. N. (2017, forthcoming). Investment treaties and the internal vetting of regulatory proposals: A case study from Canada (Part 2). In A. K. Bjorklund (Ed.). Yearbook on International Investment Law and Policy. Oxford: Oxford University Press. Interview with AH (March 25, 2013). Interview with BK, BL, and BM (June 23, 2014). Interview with BJ (March 28, 2014). Interview with AX (November 22, 2013). Interview with AE (April 15, 2011). Interviews with BH (March 24, 2014) and BP (July 14, 2014). Interview with AW (November 22, 2013). Interview with AM (October 8, 2013). We are grateful to Andreas Follesdal for this point. Interview with AF (April 15, 2011). Interviews with AL (October 4, 2013) and BA (December 3 and 10, 2013). See also Cooper, K., Bell-Pasht, K., Nadarajah, R., & McClenaghan, T.L. (2014). Seeking a regulatory chill in Canada: The Dow Agrosciences NAFTA Chapter 11 challenge to the Quebec Pesticides Management Code. Golden Gate University Environmental Law Journal, 7(1), 5, p. 31. Retrieved from http://digitalcommons.law.ggu.edu/gguelj/vol7/iss1/4. Interview with AD (April 15, 2011). Interview with AG (April 14, 2011). Interview with AU (November 15, 2013).